PC Magazine has tested a monochrome printer from Brother. 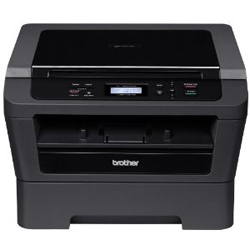 The printer is called Brother HL-2280DW and is able to print up to 27 pages per minute or so Brother claims. PC Magazine ends up giving the HL-2280DW an overall score of 3 out of 5 possible stars. The printer scores highest on performance, a little lower on design, while it scores lowest on features. On the positive side the reviewer finds the Brother printer to find the automatic duplexing to useful, low price tag and it is able to do both printing and scanning. On the negative the reviewer finds the toner to be expensive. Read the full review of the Brother HL-2280DW wireless monochrome printer here.